"Colors Australia Talent Hunt" on 6th June where Colors Television gives you a chance to show your amazing talent and win a trip to India and perform on the stage at the India's Got Talent! Contact 0428373139. 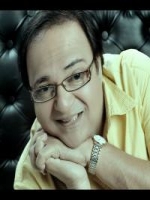 Rakesh Bedi is an Indian film actor and television personality. He started his career as a supporting actor in the 1979 film Hamare Tumhare starring Sanjeev Kumar, and then went on to Act in over 150 films and a couple of TV Serials. Some of his most memorable roles were in the 1985 film Chashme Buddoor and in the TV serials Shrimaan Shrimati and Yeh Jo Hai Zindagi. He had a little role in Gulzar's Mere Apne and he has also acted in a number of Punjabi movies such as 'Main tu assi tussi'. Rakesh Bedi has worked with the New Delhi theatre group Pierrot's Troupe. Bedi is an alumnus of the Film and Television Institute of India.